Avoid Dual Agency Pitfalls and The Pitfalls of South Georgia Dual Agency! Thomasville, Georgia is a small town, just because most of them speak with a country accent that makes them look so friendly, but please do not fall for their cheap accent. Sorry but I will call it as it is they are scumbags and believe me or not most are females, not to say they are not males because they are. These so called "Realtors" will sale a wheelchair right from under a disabled person and not even think about it twice, but on the weekend they are at church asking for forgiveness and then they are back Monday morning screwing people over again. These lowlife are very aware of what goes on in this small town because most of them have lived in this town all of their lives and if your part of that lowlife group of "Realtors" which they all are aware of these bad lots and that trying to build a home on these bad lots will devalue the home, and when I say bad area, I mean "flood zone" in a flood zone you will pay a lot more then a regular lot for insurance. A "sinkholes" this is when you get so much rain that the land create a sinkhole. Now on hwy 19 in Thomasville, we have a subdivision that had a few sinkholes and this area has been on the news and with the stigma of this subdivision you will never sell your home, unless your local “lowlife “Realtor” works it out for the commission with another local lowlife “Realtor” to screw over a new buyer from out of town that is not aware of this subdivision stigma. I was contacted by a nice couple that was looking for a piece of land to build their custom family home and they were not from here, they contacted a local lowlife “Realtor” and this lowlife “Realtor” wanted to sell them a lot and it was not even listed on the local MLS, so when a property or lot, land is not listed on the local MLS is because of a 2 reasons. 1) It is a friend of this lowlife “Realtor” and they are aware of the problem with this lot or home and are trying to pass it along to a unknowing family. In a good scenario they would end up spending a fortune to build on the lot. worst scenario you would not be able to build on that lot. Now try to get your money back by re-listing the lot. The lowlife "Realtor" you get will tell you that you are going to have to drop the price that you paid because you paid to much for that lot or house. to pass it on to another sucker. "THIS SCENARIO HAPPENS EVERY DAY IN THIS TOWN WITH THESE LOCAL LOWLIFE "REALTORS" WITH HOMES AND LOTS." 2) Pocket listing, A pocket listing or hip pocket listing is a real estate industry term used in United States which denotes a property where a broker holds a signed listing agreement (or contract) with the seller, whether that be an "Exclusive Right to Sell" or "Exclusive Agency" agreement or contract, but where it is never advertised. In this town number 2 does not happen often. A few years ago we had a person building really cheap homes below minimum building code and to make a long store short this person built these homes all around the county and city and he is still building in Thomasville, GA., but these homes he build a few years ago were really badly built, now the listing lowlife “Realtor” knew that these homes were being built bad, but she did not give two S**ts. You see she was only interested in the commission. But you see all of these lowlife "Realtors knew that these homes were being built bad they all were more interested in the commission then looking out for their client the buyer. So in Thomasville, GA. And South Georgia these lowlife “Realtors” do not care about you the seller or buyers. They say that “Realtors” have a Code of Ethics, not if they are from South Georgia they do not. I have been living in this town close to 20 years, and I have seen and heard of so mean unethical activities that are unbelievable. I am a Florida and Georgia Real Estate License holder and I would prefer to sell shoes then to activate my license with any of these so called real estate agents in South Georgia or Thomasville, GA.
Why would you think that they are so many “For Sale by owner signs”? in South Georgia. The first time we came to this town looking at properties we most of gone through a few of these lowlifes "Realtors", because they just wanted to show us first all of their personal listings and then their office listings. when we asked about the “For Sale by owner” they would answer with “I do not have any information on that property and if it is not listed there most be something wrong with it. A long time ago I had my Real Estate license activated in Florida and our broker told us to try and go get the listing from a 'For Sale by Owner" and if we could not get the listing if they would be interested in paying 3% if we bring them a buyer and 99% of the time they would say YES. If you are a true professional Realtor you would look at the "for sale by owner" as a potential home to sell. No, not these lowlife "Realtors" they think they are worth 6% commission for doing nothing. Remember in Georgia these lowlifes "Realtors" are dual agents which means they get the full 6% commission. 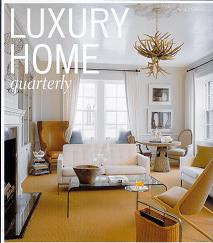 Now do you think they deserve 6% commission for selling a home on square footage alone. You see they are so lazy that they do not care to learn anything new a home has or what is so special about a particular listing. I am sure you are aware of these show on TV that sale real estate like "million dollar listing of new York". You sell properties on the custom features a home has. It might be a cliche' but yes that's how real estate agents really work. Not look at a listing and say one has more square footage then the other because any monkey can do that for less than 6%. Now these lowlife scumbags ”Realtor” when it comes to "For Sale by owners" they will talk bad about the house, they will tell a potential buyer anything that they can come up with at any cost to avoid showing a "for sale by owner" You see these lowlife "Realtors" are even willing to cut each others throat because remember they get full commission of 6% when they sell their own listing that is what " Dual Agency" is. And also remember they are all trying to make as much money as possible. They do not care about you the buyer or seller they are all money hungry. they will not tell you how much your house is wroth they will just take the listing and list it, then after a while when you have no showing they come and tell you that you have to low your price, because remember the cheaper you list it the faster they make their full 6% commission and they will not have to split the commission. And in some occasions when they take a listing the seller has to full out a property disclosure and by law they are supposed to list anything wrong with the property. Now it is very interesting how these forms are filled out. 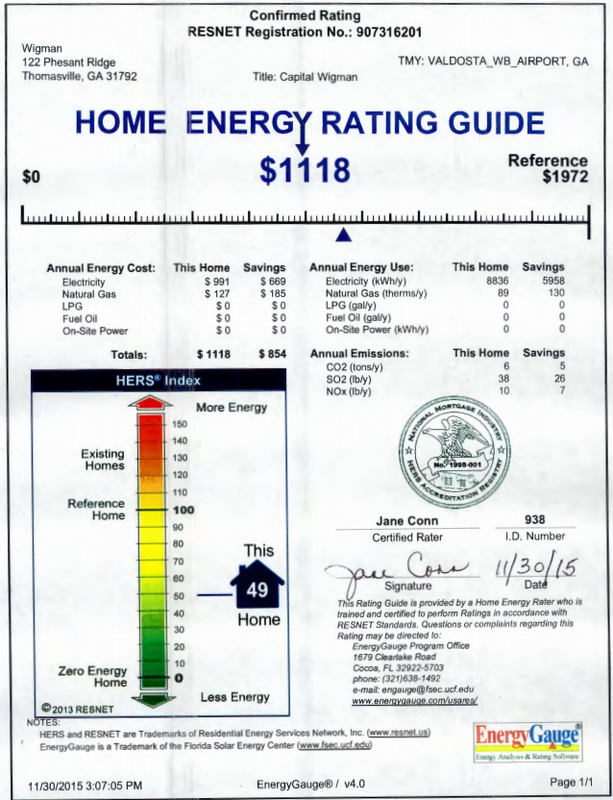 If you're buying a home I would take a very good look at this form, because you are going to tell me that you have lived in the house all of your life or had the house built, or lived in the house for a long time and you are going to check mark on "you are not aware of any issues. "YEAH RIGHT" this would be the recommendation of the lowlife "Realtor"
Then of they see that your home has been listed by them and then take the listing from them to another office they will not show it and there excuse is that that house has been on the market for a long time so there must be something wrong with it. A while ago we had a family members ask a few Real Estate breakage offices to show homes in our area. Now our home had been remodeled from top to bottom. The agents were the mother and daughter and owner of Re/max franchise. They told our family member that our house was overpriced and that they did not want to see that house. Our home was the cheapest in the subdivision and remember it was remodeled from top to bottom. “ to be continued I will be adding more to this blog. Wouldn’t it be nice if life were clear-cut? Often in residential real estate it is: The most common legal arrangement in the business is for a listing agent from one company to represent the seller and a buyer’s agent from another company to represent the buyer in a transaction. The advantage to this scenario is that when negotiations arise or the parties are sending counteroffers back and forth, the two sides have a relatively balanced opportunity to obtain guidance and strategy from their own representative. But dual agency creates relationships with clients and customers that aren’t clear-cut. For example, Rita Real Estate Broker is the listing agent holding an open house for her client, Sam Seller. Barb Buyer asks Rita details about the property during the open house, tells Rita she isn’t working with an agent, and asks Rita’s help in preparing an offer for Sam’s house. Rita has to stop, ask Barb if she’s asking for representation, and decide if she wants to enter into a dual agency relationship. First Rita must resolve whether her state’s laws and her brokerage’s policies permit dual agency. Next, she must determine whether Sam Seller has agreed to let her act as a dual agent in the transaction and obtain his full, written consent to Rita’s new role. She must also disclose the limitations the dual agency will place on her ability to assist Barb and Sam. Only then will Rita have done everything necessary to create disclosed dual agency. If she does enter into a disclosed dual agency relationship, Rita must observe her state’s dual agency laws, which probably require her to keep some types of information from each party confidential. In a dual agency relationship, Rita’s fiduciary duties to her clients are much more limited. She can no longer be an advocate for either party because each client has opposite goals. Dual agency relationships occur not only when one agent represents two parties but also when two agents from the same company represent two parties in the transaction. If Rita’s friend Alice Agent, who works out of a different office of the same brokerage Rita is affiliated with, comes to Rita’s open house with her buyer clients, Bill and Betty Buyers, and the Buyers later make an offer, once again, a dual agency relationship may be created. In some states, there’s another option, designated dual agency. In these cases, the broker of Alice’s and Rita’s brokerage could designate one agent to represent the buyer-client and another to represent the seller-client. The broker would screen off some transaction information so that neither agent has access to the confidential information of the other party. Although designated dual agency can work well, it poses the same general challenges as a typical dual agency arrangement. Designated agency still places significant responsibilities on each agent and on the brokerage to follow strict management policies to avoid compromising the integrity of the transaction. In a few states — Colorado, Florida, and Kansas — dual agency is prohibited. This prohibition ensures that the real estate practitioner isn’t put in the difficult position of trying to satisfy both parties and risking that one or both parties may walk away feeling they didn’t receive the focused and thorough representation they expected. That dissatisfaction could lead to legal action, especially if there are problems with the transaction. However, if dual agency is legal in your state and you want to make it a part of your business model, be sure to take these steps to ensure that both clients are treated fairly. 1. Review your state’s laws (consult with an attorney if necessary) to determine if dual agency is legal and what disclosures and procedures you must follow. 2. Review your brokerage company’s policy to see if dual agency is permitted and exactly what actions you as a dual agent may not perform for each party. 3. Disclose the dual agency and what it means to all clients in writing, and obtain their timely, written consent to the relationship. Be sure to explain how dual agency limits your ability to fully represent each party. 4. Review and discuss with your client any state-mandated agency disclosure forms. Some states also have statutory language that must be included in all dual agency agreements. Failing to properly disclose dual agency is illegal. 5. Recommend that both parties retain attorneys to advise them regarding the purchase agreement, contingencies, price, earnest money, or other negotiated issues. This can be a win-win for all parties involved since the client will be adequately represented and the attorneys’ participation will take pressure and liability off of the sales associate. If you’re careful in informing all parties about the requirements of a dual agency relationship, acting as an agent for both can be a viable way to close deals. Just don’t let your desire to get the deal done lead you to inadvertently overstep the limitations dual agency imposes. 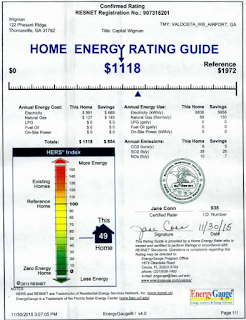 WE KNOW THE VALUE OF A TRUE QUALITY HIGH PERFORMANCE HOME! These are a few steps of many that we take to build the best high performance home with the highest value that our clients will enjoy for a long time. Our homes appraise higher than any new or existing home in Thomasville and South Georgia. Our home in 202 Stallion Cir. is for sale at $279,900 and Appraised at $302,000. 1) When your agent tells you a house is overpriced. An agent is not an appraiser. 2) When your agent tells you they do not have any info on a house that is for sale by owner, because there is no commission. 3) When the agent is unaware on how to explain a green home, so they do not show it, so not to look clueless. 4) When your buyer's agent only shows you homes with 3% commission and with a kickback bonus. 5) When your buyer's agent only shows you homes from their brokerage office only or their own listing first. 6) Local Realtors Steering new buyers to new homes being built on small lots. This was recently stated to us by a new home buyer. (So new home buyer's BEWARE of local agents showing new homes on small lots. A: First of all, let me just say that what you're describing, if proven to be true, is not acceptable behavior for any real estate agent in Nevada or anywhere else. Such "steering" is a violation of federal fair housing law, which is investigated and regulated by the federal department of Housing and Urban Development. Since they receive training in this area and deal with fair housing issues in their profession, Realtors really should know better. A violation of fair housing standards can also be a violation of state law -- not to mention violation of the code of ethics all Realtors swear to uphold. Consequently, if a member of the public has such a complaint, he or she should report it to the three entities that oversee real estate transactions. They include Housing and Urban Development, the state of Nevada's Real Estate Division and the Greater Las Vegas Association of Realtors. Besides being unethical, illegally steering a potential homebuyer to one home, one neighborhood or one particular home builder is also bad for business. Worse yet, it reflects poorly on the overwhelming majority of Realtors who follow the rules and live up to the highest ethical standards in our profession. That being said, if you feel the agent was purposely not showing you other parts of the city or other properties you wanted to visit, then I suggest you bring it to the agent's attention. Not being able to speak to the agent to determine his or her motives, there could be several reasons for an agent to focus on one area. Having worked in this industry for the past two decades, I can envision a scenario where a client seeks out a Realtor who is the "neighborhood expert." As such, the client could expect, ask or even demand that the Realtor show them what they believe to be the best neighborhood in town for that particular buyer. If, however, you do speak to your Realtor about your concerns and he or she is still uncooperative, you should report the situation so it can be investigated fully. These things can be very subjective. It can sometimes be a fine line between "steering" and giving clients what they want. In the end, that's why it's so important for Realtors to continue their education and training. They must meet their fiduciary responsibility to all parties, while satisfying their legal and ethical responsibilities. For more information on such issues, consult a qualified local Realtor or visit LasVegasRealtor.com. Rick Shelton is the president of the Greater Las Vegas Association of Realtors and has worked in the real estate industry for 20 years. GLVAR has 12,500 members. To ask him a question, e-mail him at ask@glvar.org. For more information, visit lasvegasrealtor.com. Questions may be edited for space and clarity. What buyers and sellers alike may not realize is that, in many cases, real estate brokers and agents actually have no legal obligation to look after their best interests. This is 100% true when it comes to working with a dual agent, Georgia is a dual agency state. Transaction brokerage: One agent or two agents at the same brokerage may provide services to the buyer, the seller, or both, in a non-agency relationship, owing no fiduciary duties of loyalty and obedience. Georgia "Buyer's Beware"
In addition to having the same disadvantage as dual agency — neither the buyer nor seller can expect an agent to represent their interests during negotiations — consumers served by transaction brokers have little leeway to file claims for professional negligence. Georgia"Buyer's Beware"
Provision of "ministerial" services to unrepresented "customers": A listing broker may avoid splitting a commission with a cooperating broker by providing limited services to an unrepresented buyer. Georgia "Buyer's Beware"
Every state in the union provides avenues for brokers and agents to "double dip." Of the eight states that ban dual agency outright, four allow designated agency (Alaska, Colorado,Maryland and Texas), three allow transaction brokerage (Florida, Kansas and Oklahoma), and three allow both (Alaska, Colorado and Texas). Georgia "Buyer's Beware"
Subagency: The listing broker represents the seller in an agency relationship. "Selling agents" who work with buyers are "subagents" of the listing broker. All of the agents involved in a transaction owe their allegiance to the seller, and buyers are unrepresented. So TRUE in Georgia"Buyer's Beware"
Although subagency was a standard industry practice for most of the last century, this form of representation has largely fallen out of favor because of legal risks for brokers and sellers. NotTRUE for Georgia "Buyer's Beware"
During the matchmaking stage, brokers who are hoping to double-end a deal may attempt to steer buyers to listings they represent. Or they may fail to aggressively market their sellers’ listings in the hopes of limiting the pool of buyers to those they will represent. Very TRUE inGeorgia "Buyer's Beware"
Brokers may offer incentives, such as higher commission splits, to agents who sell in-house listings to their buyers. Extremely TRUE Georgia "Buyer's Beware"
"My broker doesn’t endorse this practice (of offering such incentives), as it may lead to an agent ignoring the best interests of the client in favor of the best paycheck," said Chris Dowell, an agent at Re/Max Premier Realty in Prairie Village, Kan., a Kansas City, Mo., suburb. Dual agency and several other forms of representation are permitted in Missouri. "LUCKY YOU'Georgia "Buyer's Beware"
"There is a large, local brokerage that pays a significant bonus for selling in-brokerage listings, and because of that, faces … lawsuits, as well as a buying public that is very cynical toward that brokerage’s actions." Extremely TRUE Georgia "Buyer's Beware"
During the negotiating stage, brokers and agents working with the buyer and seller in the same transaction may disclose confidential information — such as how much the seller is willing to accept — in the hopes of moving a transaction along. "Extremely TRUE Georgia "Buyer's Beware" I can't STRESS this how TRUE it is. Michele Guss, an agent at Thompson’s Realty in Phoenix, said that in her brokerage, agents don’t "sit around gossiping about their clients and transactions." Not all offices have the same practice. Georgia "Buyer's Beware"
"With that said, I will say when I was with (another brokerage), agents were always telling other agents what listing they had and what a seller would be willing to accept. This is not OK. Agents are not authorized to give any (information) unless the seller or buyer specifically authorizes them to do so," she added. Common practices Extremely TRUE Georgia "Buyer's Beware"
The California Association of Realtors, in soliciting contributions to its Realtor Action Fund,claims that the lobbying it has done to preserve dual agency in the state "saves" Realtors thousands of dollars each year. Extremely TRUE Georgia "Buyer's Beware" More many in the realtors pocket. and buyer's and sellers with no representation. Not having to split a commission with a cooperating broker provides a boost to the bottom line.Extremely TRUE Georgia "Buyer's Beware"
Despite more than two decades of tinkering with the laws, regulations, customs and practices governing Realtor-client relationships, real estate brokers still view agency issues as theirgreatest potential legal liability. Georgia "Buyer's Beware"
NAR’s latest survey of members showed 18 percent of Realtors practiced transaction brokerage in 2010, up from 10 percent the year before. The percentage of Realtors practicing buyer and seller agency with disclosed dual agency dropped from 41 percent to 32 percent. Our area inGeorgia it is up in our area by 99% "Buyer's Beware"
Statistics provided to Inman News by four of the nation’s largest multiple listing services show declines in same-broker or same-office transactions during the last decade. Our area inGeorgia it is up in our area by 99% "Buyer's Beware"
At the largest MLS in the Northeast, Rockville, Md.-based Metropolitan Regional Information Systems Inc. (MRIS), for example, 21.7 percent of transactions in 2002 were handled by an agent or agents working out of the same office. 99% of sold listings in Georgia are sold and listed by same agent. with no protection to the buyer or seller and full commission to the listing agent. "Buyer's Beware"
The percentage of same-office sales dropped to 15.8 percent in 2009, a low for the decade, before rebounding to 16.4 percent in 2010. Our area in Georgia it is up in our area by 99% "Buyer's Beware"
Roselind Hejl, an agent at Coldwell Banker United Realtors in Austin, Texas, said she believes that dual agency is becoming unacceptable to consumers in an era of increasing transparency. In Georgia it is the only agency sought out by local Realtors. Dual Agency in Georgia is sought out by local realtors for the full commission. "Buyer's Beware"
"I think (dual agency) is a holdover from the days when both agents represented the seller, and the buyer was technically not represented. It was customary to ‘double dip’ and earn both sides of the commission," she said. "Buyer's Beware"
"In today’s world, agents may get away with this once in awhile, but dual agency is rapidly coming to an end. The public wants more information and transparency. It is up to us to respond to that." They get away with it everyday in Georgia. "Buyer's Beware"
Kansas agent Chris Dowell, meanwhile, said he believes the wealth of information available on the Internet has encouraged a "do-it-yourselfer" mentality, and that there is a "trend toward unrepresented buyers purchasing through listing agents directly." It happens daily in Georgia So"Buyer's Beware" An uneducated buyer is going to believe whatever their buyer's agent tells the buyer. Dual Agency is "Bait and Switch." There is a new found medical term in the Real Estate industry call “Selective showing” just like Selective memory “Selective showing” is a rare symptoms found only when working with a dual agency. For some reason the agent is only able to remembers to show the buyer the listings that are ether listed by the same agent and office or where the most effective commission is available. There is a cure for these symptoms, and it’s to work with a buyer’s agent. A dual agent is counting on the buyer thinking that they are going to get a better price by working with the same listing agent. NOT TRUE! Dual agency is a way for brokers to unfairly get paid double. It is most prevalent at large brokerage firms (we recommend avoiding these). Commissions are already arguably too high and savvy consumers can avoid paying a double fee while also preserving their right to representation. Dual agency occurs when real estate agents from the same firm claim to represent both the buyer and the seller in the same transaction. Representing adversarial interests at the same time is a legally impossible situation ("serving two masters") and is illegal in every other profession. Worse, brokers are incentivized with a double fee if they manipulate you to agree to this. Dual agency (also known as Designated Agency) is often branded (even marketed) to consumers by large brokerage firms as a thing of value - it is not. Although the term “dual agency” seems to infer an important relationship of trust and reliance, dual agency is a betrayal in which the firm becomes a secret double agent that only gets paid double if they can convince you to do it. In order to avoid dual agency, seek out smaller, highly qualified and independent brokerage firms that understand and agree to other more favorable relationships such as Exclusive or Single Agency representation. Negotiating Tip: Sellers, instead of negotiating a bundled commission, negotiate each part of the commission. Do it yourself ("unrepresented") buyers typically receive no financial benefit for their work. Instead the listing broker confiscates the entire amount (a hogger). So instead of negotiating a 5% commission, negotiate how much your listing broker will get (2% for example), negotiate how much will be offered to buyer brokers and do it yourself buyers (3%). When buyers are searching, yours will stand out because buyers stand to save 3% only on your house by doing it themselves. Listing brokers should not care whether the 3% is paid to buyer brokers or buyers. If they claim that they have to do more work, then keep shopping until you find a listing broker that is willing. Dual agency is potentially one of the worst “bait and switches” possible because it involves the “switch” (abandonment) of a trusted advisor and advocate. Even with disclosures, consumers rarely expect the change in relationship (and often never even know that it occured) that comes with dual agency and they are almost never prepared for the complete abandonment that defines dual agency. And despite the degradation in the level of services in a dual agency situation, the client ends up paying double. Should Less Service Equate to a Lesser Fee? The Consumer Federation of America came up with a recommended fee schedule that suggests a sliding downward scale to align the degradation of services that results from dual agency with a lowering of the fee Realtors charge. According to them, less service should translate into a lower fee. It is illegal for attorneys to engage in dual agency in adversarial relationships. Yet, attorneys possess far higher entry level licensing standards and education requirements than do Realtors. In addition, attorneys are trained in how to manage conflicts of interest. Realtors are not. Attorneys must have a post graduate doctorate degree and pass a State Bar Exam in order to become licensed. They also have a meaningful Code of Ethics that provides substantial and public penalties for infractions. Even with their thorough training in agency relationships and conflict management, attorneys avoid dual agency because it places too much risk on their clients. Licensing requirements for real estate agents are essentially non-existent. The minimum standard to obtain a real estate license in the United States doesn’t even require a high school diploma and an individual can often obtain their license after taking only a 30 hour class on how to pass the exam. And their "Code of Ethics" is designed to protect Realtors, not clients and is enforced by peers who are members of their trade association and all decisions are kept private. Real estate licensing laws are typically lax as is enforcement of those laws. There really is no comparison. Realtors do not possess the necessary training or education to engage in such a complex relationship as dual agency. 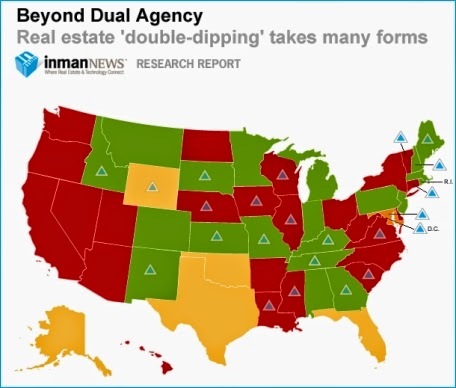 Despite the complete lack of minimum standards and the incredible complexity and danger of dual agency, it is now legal in most states for Realtors to practice dual agency. Dual agency (aka "Hoggers") exist to enable real estate brokerage firms to grow to enormous size and to unfairly collect double commissions. It's greedy, dishonest and anti-competitive. Similar to theft by swindle, dual agency is highly profitable and relies upon the vulnerabilities of its victims to succeed. We call these double agents "predatory fiduciaries" because their practices differ little from those of the predatory lenders. Ironically, dual agency was a response to an innovative entrepreneurial business model called exclusive buyer agency that was quickly gaining market share and improving the real estate marketplace. Exclusive buyer agency offers a legitimate and substantial benefit to consumers in that agents refuse to expose clients to dual agency and offer only exclusive loyalty their buyers. Exclusive buyer agency still exists and is promoted by a trade organization called the National Association of Exclusive Buyer Agents (www.NAEBA.org). We have a list of Exclusive Buyer Agents listed in our Service Providers section in the upper right sidebar of this page. The National Association of Realtors is the post powerful lobbying group in the United States. They claim that 97% of the legislators they support get elected. It is considered political suicide for legislators to go up against this group. Add in the lobbying power of its sister and subservient industry groups and you will understand why it is a truthful remark to state that, "No real estate related law will get passed unless the Realtors sign off on it first." Legalizing dual agency allowed the Realtor Associations' membership to get paid double while betraying their own clients. Legalizing dual agency is akin to legalizing fraud. In fact, the courts describe "undisclosed dual agency" as fraudulent conduct. We find it incredulous to even try and state that consumers receive dual agency disclosures even close to what the common law requires of other professions. Consumers certainly are not giving their informed consent (another common law standard). Without an all powerful lobbying group behind them (National Association of Realtors “NAR”), it never would have been possible to legalize conduct that is more accurately described as a betrayal. The common law standard to permit dual agency requires a full disclosure of all the material conflicts of interest (an almost impossible standard) and the informed consent of the client (another almost impossible standard). Rather than adhere to these common sense standards, Realtor Associations across the country changed the law so that they could double dip. They amassed a colossal lobbying effort to rewrite state laws to allow for dual agency. In one lobbying effort they defiled two hundred years of common law and eliminated an important and already successful point of redress for consumers who were harmed by dual agency – class action lawsuits. "Dual Agency is a Totally Inappropriate Agency Relationship"
Hypocritically, it should be noted that the National Association of Realtors previously took the position that, “Dual agency is a totally inappropriate agency relationship for real estate brokers to create as a matter of general business practice…The disclosures and consents necessary to make a dual agency lawful are so comprehensive and specific that a typical real estate broker cannot undertake them as a matter of routine.” Taken from “Who Is My Client? *– A Realtors Guide to Compliance with the Law of Agency” 1986 National Association of Realtors. See attachment below. The Executive Vice President of the Association also wrote a letter about the topic. CAARE’s position on dual agency is that it should be banned. It is an insurmountable conflict of interest that results in the abandonment of the client when they need their agent the most – right when they find the property they want. We believe that banning dual agency is possible with enough public support. We have drafted petitions and have lots of information to help provide imepetus for this change. At the very least, investors who loan mortgage money should forbid dual agency in their transactions. In addition, HUD should forbid dual agency on all federally funded loans that involved especially vulnerable distressed home sellers (short sales). When mortgage fraud is rampant, consumers need more than ever to be able rely upon their Realtor for exclusive representation and unbiased and untainted advice. We would like to see the elimination of disclosure statements that disclose bad conduct like dual agency and see in its place the elimination of bad conduct like dual agency. *The National Association of Realtors' Official position on dual agency in 1986, "Dual agency is a totally inappropriate agency relationship..."
"Flourishing subdivisions" in Thomasville, GA.
Do not over pay for living in a subdivision in Thomasville, GA. Some subdivisions are charging more then a $1,000 plus other fees and most of the time are for amenities you will never use. The only subdivisions in Thomasville, GA. that are flourishing are the once that are building cheaply built homes to bare and bellow minimum code and are the only ones that local realtors are pushing to keep the full commission. When you go shopping for a car, you do not only go to one dealer, so why would you stick with only one Realtor or real estate brokerage? in Thomasville, GA. we have our share of used car realtors. who are only interested in selling you their own listings or their own brokerage listings, and why "Full Commission" so this is why you need to invest more time and try using deferent realtors and brokerage to show you houses and you will see that all realtors are not the same. most of them are just interested in their own "Agenda". Now imagine. New Homes being built in Thomasville, GA. by an unlicensed person and that person also claiming to be a builder with no building experience, project managerment or construction experience working under someone else’s license. Building of these homes continuous. Buyers beware. Cheap Homes = Cheap Homes. Protect yourself: It is unwise to use the listing realtor as your purchase realtor? So I urge you in the strongest possible terms to go find another agent to represent you. CHB Eco Custom Homes. Watermark theme. Powered by Blogger.